Tennessee got out to a quick lead thanks to a beautiful fake punt turned 66-yard TD pass. The Titans shocked the Texans by jumping out 14-0. Houston clawed their way back into it, eventually taking a 17-14 lead. Up 17-14 with 13 minutes left, the Texans’ problems arose – (1) Their defense is good but not great. (2) They have a terrible O-Line (see: Seattle v. CHI on MNF), so they cannot convert 3rd-downs all that well in crunch time. In the final 13 minutes, Blaine Gabbert, yes, Blaine Gabbert led two sustained scoring drives for field goals. Houston sputtered/could not answer, and the Titans walked away with a 20-17 victory. The Texans fall to 0-2, and if they lose at home as bigger favorites over the lowly Giants in Week 3 – the Bill O’Brien era is about to come to a merciful end, I would suspect. -- I’m warming up more and more to Deshaun Watson (22-32 for 310 yards, 2 TD/1 INT, 5-44-0). He’s never been my cup of tea, but he looks so comfortable running the modified spread offense. The problem he has is – no blocking, so if he doesn’t have the time that the spread fake run usually buys him, he’s in trouble. He’s a nice-looking QB with no pressure (some QBs are just weak no matter what the situation), really a controlled player with time. It’s when they attack that he has some issues making reads or throwing with his feet not set. He needs a spread RPO and then quick decision throw/one read throw. When he stands in the pocket, traditionally, too long and his one-read option is covered…then the trouble happens if the protection is corrupting too fast. I’ve been mostly negative on Watson, but I’m more slightly positive now. He’s not my top guy for fantasy because I think the injury bug is a problem considering his frame and the hits he’s going to take with a bad O-Line, but I’m not against him in general. I wonder if a new coach comes in and tries to install ‘his offense’ next year (if B O’B replaced) -- if it’s not the spread…I wonder if Watson will take a hit for fantasy/NFL ahead? -- Watching Corey Davis (5-55-0/7) on his routes in this game…I’ve made fun of him for his low productivity, but he’s really not bad. He’s just a little overrated. His biggest problem is the QB play is terrible. On another team he’d be much more productive and in better standing. -- Just nine snaps Week 1 for the Titans most dangerous weapon/best WR in the preseason – Taywan Taylor (3-32-1/6). Week 2, he was graced with 24 snaps…and a couple quick passes/bubble screens…and, of course, Taywan makes a great move and scores a TD. Maybe, just maybe Mike Vrabel ‘gets it’/wants to score points…and ‘start’/feature Taywan? Probably not. Vrabel is smarter than us, he played the game. There is hope Taywan is about to happen, and he would be great for this offense that struggles to throw downfield. 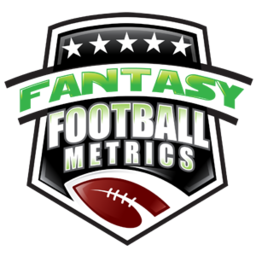 Rishard Matthews (2-8-0/4) is dying a slow fantasy death. -- Will Fuller (8-113-1/9) just keeps scoring… He also keeps getting hurt, but he’s fun while he lasts. I’ve been anti-Fuller because I don’t trust his hands, but he’s proving me wrong and it doesn’t matter if he drops one if he catches 8 for 113. Yes, they gave up 20 points in a loss here. Not great. Not bad, but not great. However, a closer look at the stats would say the Texans defense did their job here…better than it looks on the surface. If you take away the 66-yard fake punt TD, the Texans defense allowed just 13 points, only 225 yards, and 33% on 3rd-down conversions. Those should be ‘winning’ numbers. Bad O-Line NYG and IND the next 2 weeks. Low offensive excitement Dallas Week 5. You can use this DST to their Week 9 BYE, and then possibly the rest of the season. If you have an eye to do so with them – you need the Texans to win this week and get back into the race. -- FYI, Titans new starting TE Jonnu Smith played 100% of the offensive snaps…and did not see a target. This is why I didn’t get excited about him as a sleeper TE last week.